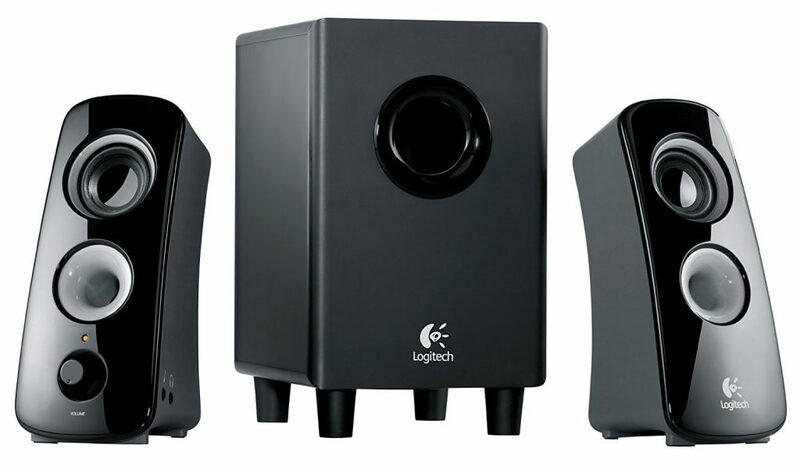 » Product Reviews » Logitech Z323 Review, A Speaker System That’s Worth Picking Up? Logitech Z323 Review, A Speaker System That’s Worth Picking Up? It’s time to review the Logitech Z323 speaker system since it has been around for a while and is still selling pretty well on Amazon. I’ve used this speaker system for over a year now and although other reviews would disagree, I think this system is completely worth the asking price. Clean sound, easy to hook up and an adjustable bass volume… When you’re looking for something that doesn’t break the bank, has a subwoofer that comes with and has the quality level at a higher point then you need to consider these. First thing’s first, the sound is the most important part about any speaker system. When you’re shopping around for speakers to go with your PC you want them to be bold and loud without having a low quality, scratchy sound. To be honest you don’t get the ultimate sound quality with these. It’s not the best that’s out there. For those of you that consider yourself an audiophile, you’re not going to be completely satisfied here. That’s what the more expensive speaker systems are for. But if you’re looking for something that bumps a heavy level of bass, has quality levels of higher audio levels and stands the test of time then these should be on your radar. For less than $50 you get two speakers that, even when the bass volume is turned down all the way, sound excellent. You won’t be blasting these speakers at full volume – at that point you definitely get a scratchy, low quality sound. With that, even at half volume you’re going to be filling up the room with sound. You’ll be able to hear these from a couple of rooms away at the half volume mark. Even in the context of needing to fill up a room with music, you’re good to go with these. I would say that the max volume for comfort and without blowing a speaker would be to be a bit past the half way point and then it’s enough to fill up a room, you’d be able to hear the sound/music in every room in a three bedroom apartment for example. This is because it’s what is considered a “360°” sound system. There are speakers in the front and back of the satellites and there are speakers in the front and bottom of the subwoofer. This provides a more balanced sound no matter where you’re listening from in the room. I’ve had a regular sound system before, even with a subwoofer included, and I could tell the difference between having those extra speakers and not having them. It’s not worlds apart as a difference, but enough to tell. I enjoy having those extra speakers included, even more so if I had my PC or whatever device centered in a room. As far as the size of the system, the subwoofer is actually smaller than what I anticipated. This isn’t to be mistaken that since it’s a smaller subwoofer that it doesn’t provide adequate bass because it sure does, mainly because of the 360° sound. The satellites are a decent size, a bit taller than I expected. I’ve got the dimensions on the right for those that want the exact dimensions. Now that sound is out of the way it’s time to talk about the features that come with these speakers. You’re able to hook up almost whatever you want to these speakers as well as using them as a way to use earbuds if you desired to. There isn’t a whole lot to talk about here as Logitech decided to stick with the basics here. There is an option to include a bluetooth audio adapter which changes things up, but I didn’t need that so I have no experience there. There are two 3.5mm inputs, an RCA input for consoles and the like and a headphone jack for those that might want to use earbuds. You’ve got your overall volume adjustment on the right satellite, the headphone jack on the right satellite as well as another port there to use another audio source at the same time. There is nothing to adjust or add with the left satellite. On the subwoofer you’ve got right and left AUX inputs, a plug for the left and right satellites and a bass volume adjustment that is a dial. 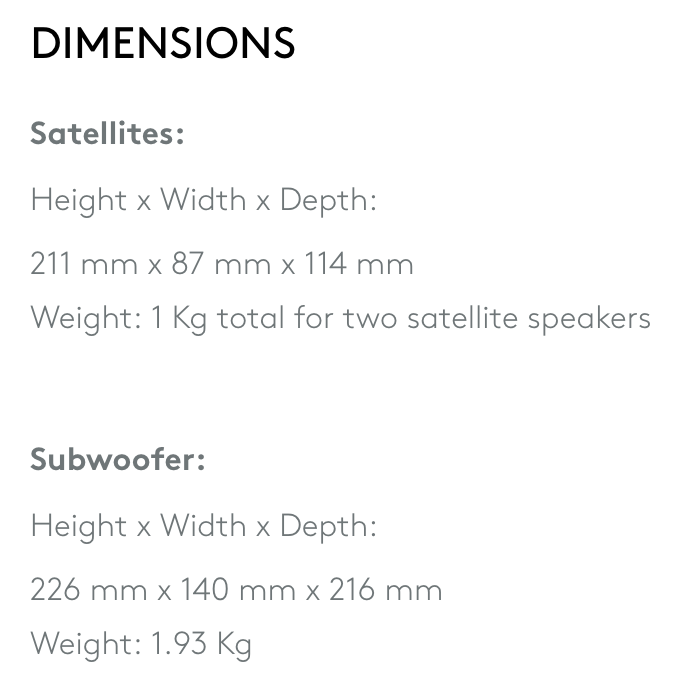 The satellites output 6W of power whereas the subwoofer outputs 18W of power. You can completely deplete the bass levels if you wanted to, though the speakers really shine when used all together. As I stated before, you will most likely never have these at full volume as the audio quality gets scratchy and it feels like there is potential of blowing a speaker at the higher levels of volume. Using the jack for earbuds was actually better than expected, although the quality is surely different depending on what earbuds you’re using. I have earbuds that are around the $20-$30 range so not the best but not the worst. Quality was great, the bass output was what you’d expect out of a decently made set of earbuds. I don’t have another device to use simultaneously with the other jack but with the earbuds, it worked and it would output another device just fine. Another important part of speakers is the build quality. What is the material like, will it stand the test of time? As I said earlier it has been over a year that I’ve used this system consistently for my PC and they’ve done very well. Logitech has always been good about making sure that the build quality is done right, there isn’t anything about this system that seems cheap. With a previous system I noticed that the portion where you plug in a speaker with prongs – they became bent after long use. I haven’t had this problem with these, they’ve kept their quality through and through. These were a nice upgrade. Every part is sturdy and the speakers themselves have not been blown out or had any problems over the past year. Getting it all set up is a breeze, they were automatically recognized by the audio drivers. There isn’t any specific software to download with these. Again, I can’t speak on the bluetooth adapter as I had no need for it but based on other’s reviews on Amazon it works great. I noticed that on other reviews such as this one from CNET there is talk of the system not coming with an audio cable and having low quality sound at higher levels. The cable came with, maybe the review was from when they were first released but that is not an issue at all. Everything you need will come with in the packaging. But yes, if you’re trying to blast the audio at full volume then you’re going to get a distorted sound from both the subwoofer and the satellites. Though I’m not sure why one would want to try to blast these at full volume since even at half volume it is plenty loud enough, you’d be hearing it from rooms apart. Should You Get The Logitech Z323 Speakers? If you’re looking for a speaker system that’s under $50 that includes a subwoofer while knowing that you’re not trying to have the maximum level of volume then I’d recommend these for sure. If you’re looking for a speaker system that you can max out without any sound quality problems and/or you’re looking for the absolute best quality sound as an audiophile then you should maybe look elsewhere. I personally don’t see why anyone would need the sound maxed out with these simply because of the quality problem and because at the half way point it is plenty loud enough to fill a room with quality in mind. Don’t just take my word for it, there are plenty of reviews on Amazon that also talk about how great these are! I recommend these if you’re trying to spend less than $50 for a system that includes a subwoofer and you know that you don’t need to have the loudest volume levels possible. So, do you see yourself picking up the Logitech Z323 speaker system? Tagged logitech, speaker system, subwoofer, z323. Bookmark the permalink. 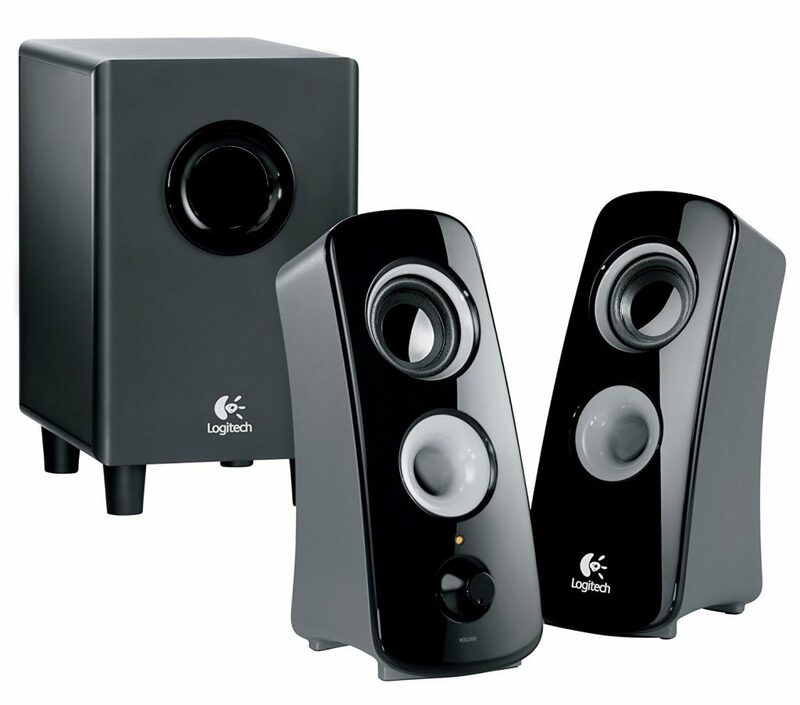 4 Responses to Logitech Z323 Review, A Speaker System That’s Worth Picking Up? I bought these speakers for my son’s mother a few years ago. They are pretty decent for the price, but I have to agree that they won’t satiate an audiophile. 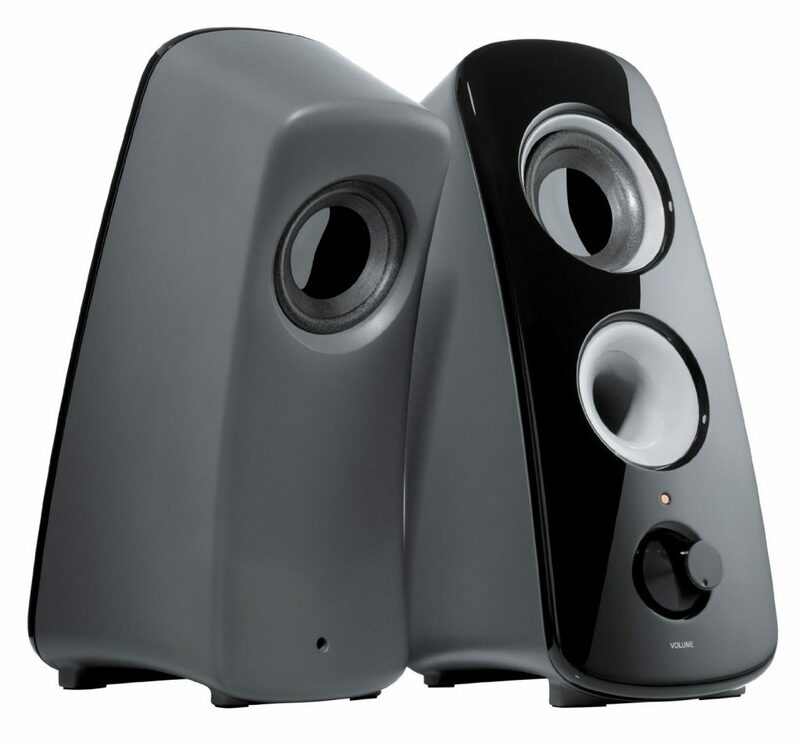 If you’re on a low budget, but can manage to squeeze out a few extra dollars, then these speakers will serve you well. I’d put them in the “best bang for your buck” category. It’s funny you asked why anyone would want to blast these speakers at full volume because I did just that as a stress test. Lol! I got exactly what you said these speakers would produce on full blast; distorted sound. I can’t say that I was surprised; I was somewhat expecting it actually. With that said, I was not disappointed because I got what I paid for. 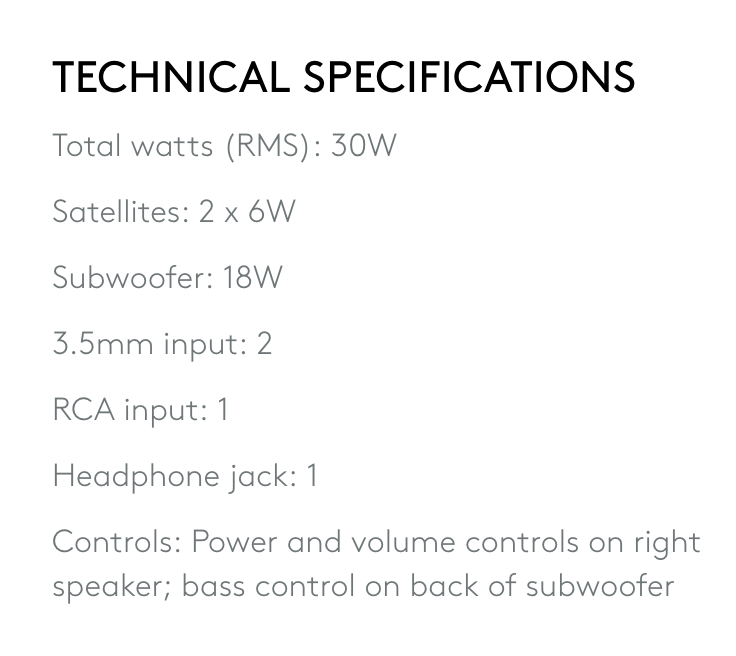 Right, the more you pay the more you’re going to get out of quality and these speakers are on the lower end when you think about a speaker system including a subwoofer. Was honestly expecting that as well, though it would have been nice if they figured out a way to keep the quality there but it seems that there is just too much power going through for the speakers to handle at those higher volume levels. I will have to look into these speakers. I just recently had my speaker system go down on me and have been searching for another one with a base. The ones i used I have had for almost 20 years and worked great up until a couple weeks ago. And I don’t want to spend a ton of money. I work in a louder environment and need to be able to hear what’s going on with the computer. So these might be the perfect set for me. Thanks for the review. I’ll check them out. Yeah Ryan like I mentioned the maximum volume levels with these will make the quality level bad but even at the mid level volume they are still loud enough to fill a room. I’m certain that they’ll be around for the long haul as well!